The manufacturing system to keep the safety and to protect trouble | The reason why everyone selected TAIYO | TAIYO KIKAI LTD. In our company, the inner product rate of the mechanical parts is 70 %, we make the inspection system in our company safe. 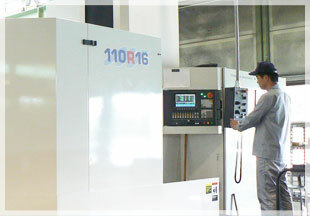 And, even if the machines goes wrong, we can manufacture the parts in our company and deliver that to you quickly. We have accumulated the techniques more than 50 years. 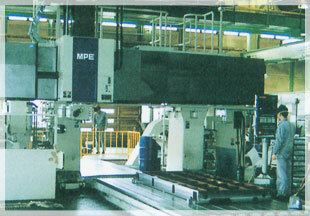 In our company, we have designed and manufactured a variety of machines. The kinds of machines will be 200 kinds in the near future. 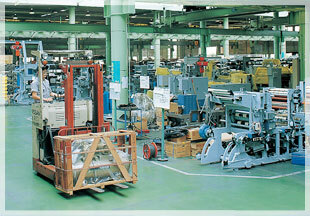 The all machines accumulate in Yamagata plant. We put craftsmanship to machines without stint. In our company, the employees who serve in a plant for forty years work in our company every year. They construct our machines since teenager and deliver their craftsmanship to customers without stint.